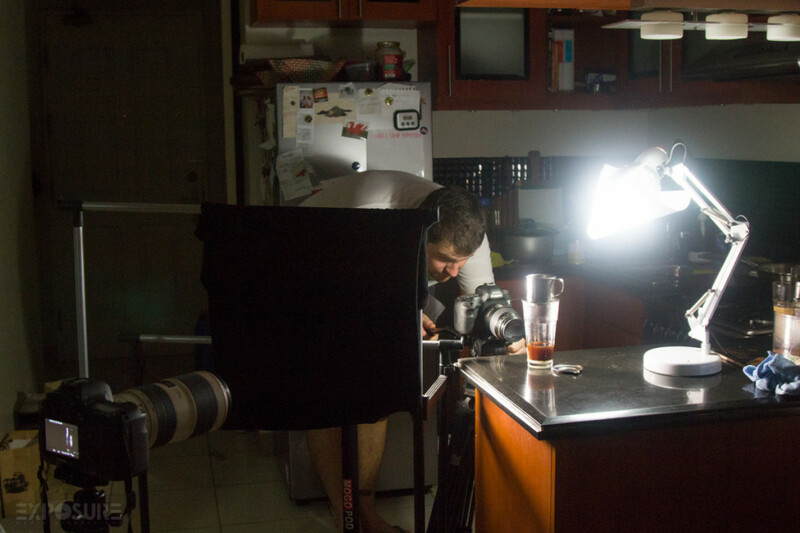 One Sunday, we decided to shoot the making of Vietnamese coffee. By the end of the day, we’ve made about 4-5 cups of Vietnamese coffee and drank almost all of it and Geraldine’s heart thumping and hands shaking. We had a little video editing competition between us, to see how the other’s creativity translates in video editing. Geraldine opted for slow, and more step by step process, while Peter preferred the fast and in-your-face tight shots. There were so many shots we wanted to include in the video but had to cut out because we wanted to keep it short at 1 minute. Whose edit did you prefer? Whose music did you like? Comments and suggestions welcome! 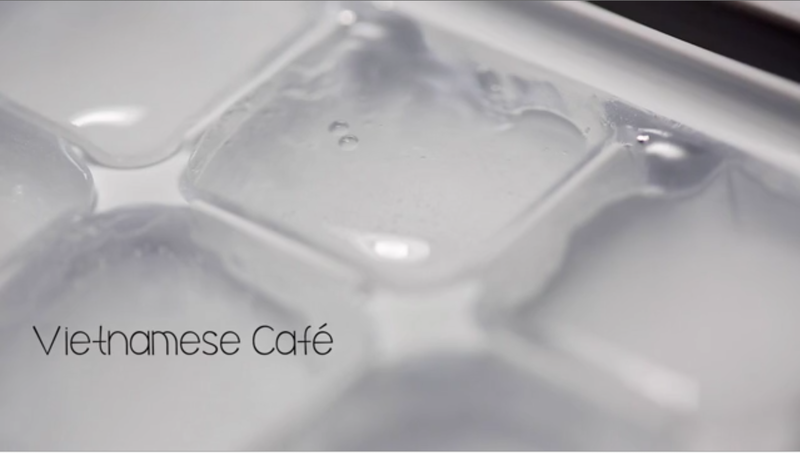 Vietnamese Coffee from Exposure Media Productions on Vimeo. Peter on tight frames, with 100mm macro lens, and Geraldine on 70-200 “wide” shots (left of photo). We used Geraldine’s bedside lamp and a YongNuo video light (behind the black curtain). All lights were off as well as the fan, we were sweating so bad there’s nothing we can do.